As I get older, I get lazier, or maybe I get just better at doing more, simply. However you call it, the things I tend to make at home these days are rustic and easy and taste good and that’s all that matters to me. Take my grill formula of choice this summer: skewered salads. 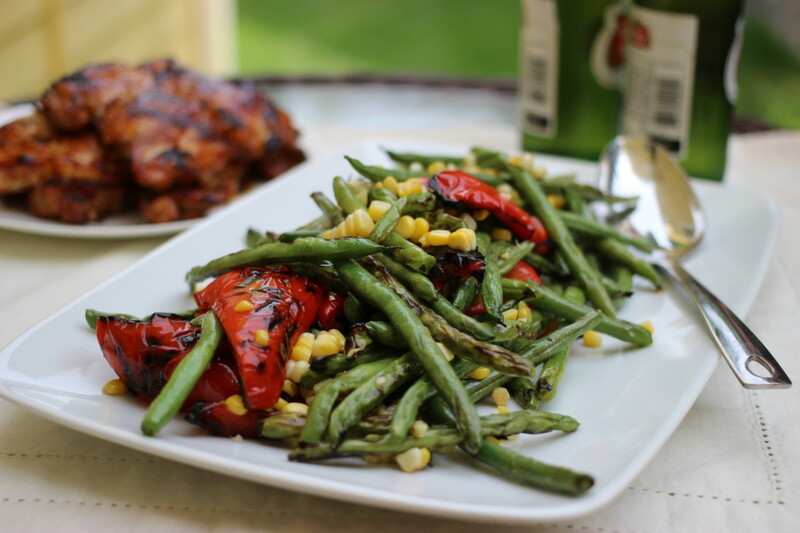 They are “messy” compared to your standard composed summer salad, but the impromptu, tossing element to this approach connects the disparate flavors and textures, making these “messy salads” almost like an inverse marinade. The method is easy and you can adapt it to your preferences: grill small pieces or meat, fish, and vegeatbles on skewers and then toss with herbs or baby greens, summer vegetables – raw or grilled as you like – and some sort of quick but intense vinaigrette. The heat of the food just off the grill pulls together the disparate flavors, creating a semi-wilted, intensely flavorful salad. 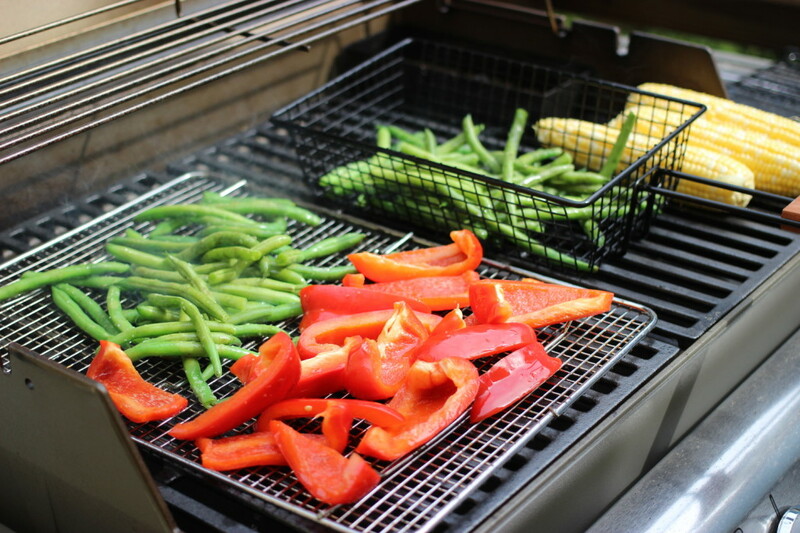 Heat the grill and get prepped: Heat a gas grill to medium-high or prepare a medium charcoal fire. Peel and devein 1 lb. shrimp (preferably 16-20 ct). Sprinkle generously with S+P (about 1 tsp. and 1/2 tsp.). Thread onto metal skewers (or on wooden skewers that have been soaked in cold water for 20 min) and brush with 1 Tbs. olive oil. Grab a large salad bowl and set it out on the countertop. Husk 2 ears corn, taking care to remove all of the silk, then slice all of the kernels off into the bowl. Halve 1 pint grape tomatoes, lengthwise and add them to the corn kernels. Cut the stems off of 2 bunches cilantro and, using your fingers, tear into smaller sprigs and drop into the bowl. Grill the shrimp: Grill the shrimp, undisturbed for a couple of minutes, until they easily release when you pick up an edge, 2-3 min. Flip and cook the other sides until the shrimp are just cooked through, about 4 to 5 min total. Toss and serve: Using kitchen mitts and tongs, slide the shrimp into the bowl with the herbs and corn. Add 4 Tbs. olive oil, 1 lime (juiced), 1 canned chipotle chili (minced) and 1 Tbs. 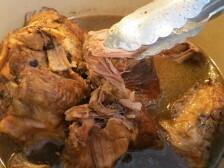 adobo sauce (from the can) . Toss well, scatter 2 avocados (diced) on top, and serve alone or atop quinoa, brown rice, or a tortilla (as I do). Alison writes: I have always wanted to know how to make fried chicken for the occasional craving, but the only time I’ve tried, the thighs and drumsticks were greasy and undercooked. I’m thinking I should try boneless breasts instead. Suggestions? Tony’s take: Fried chicken is the Everest of home-cooking… or, at least, that really long family camping trip you’ve debated taking for years: if it’s successful, it’s monumentally triumphant. But if it goes bad, it’s a real mess and leaves the whole house smelling fried. You’re right to distinguish between chicken parts and breasts. Frying bone-in pieces is closer to the Everest end of the equation. 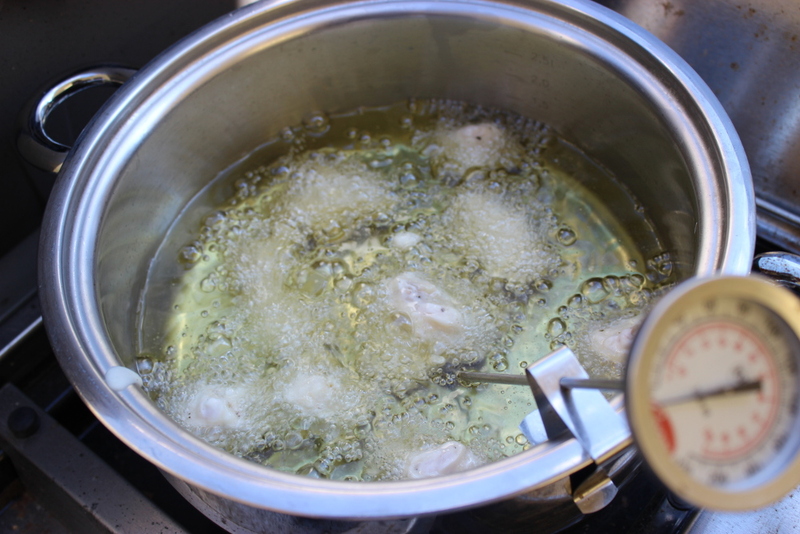 You need to keep the oil at a consistently high temperature (above 350F) for a long period of time so the chicken cooks through, but doesn’t get greasy (which is what happens when the temp drops well below 350F) – and in this scenario, avoiding the whole fried-house smell is a near impossibility. Breasts are quicker to cook through. And if you cut them into manageable chunks (about 1 inch), the whole process isn’t much more demanding than a saute. Serves 4. Prep time: 15 min. 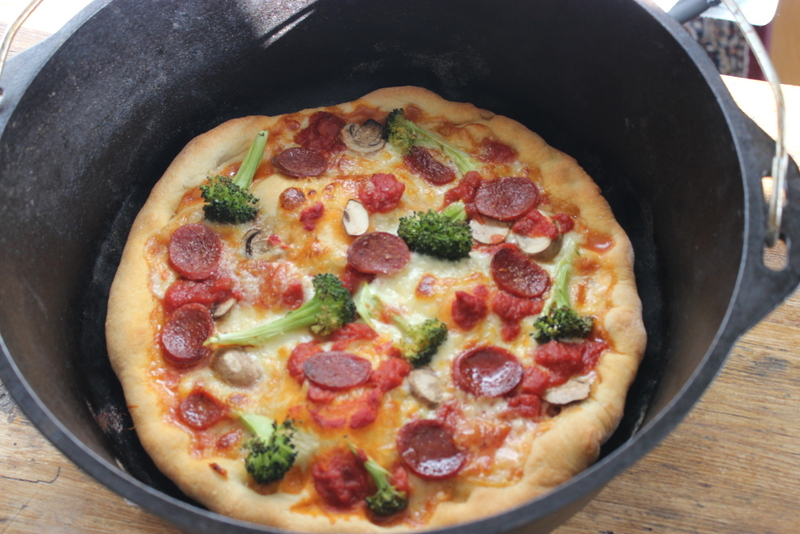 Cook time: 10 min. 1. Season: You can season fried chicken before and/or after cooking. For the boneless chunks approach, I prefer to do much of the flavoring after cooking (step 5). Before cooking, I keep it simple – just salt and pepper – so the chicken tastes like chicken. Cut up 1 1/4 lb. chicken breasts into 1-inch pieces. Toss with 1 tsp. kosher salt and 1/2 tsp. 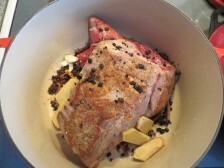 black pepper and 1/4 tsp garlic powder if you like – I know, it sounds hacky, but the garlic powder will add a little nuance. 2. Heat the oil: I like to fry with flavor-neutral oils that have a high smoke point – like canola oil or peanut oil – though you can certainly go with olive oil or grapeseed oil if you’re feeling flush. Fill a large saucepan or medium pot with canola or peanut oil so it’s somewhere between 1 and 2 inches deep (about 3 cups). Heat the oil over medium heat until it hits 350F (use a candy thermometer to check; if you don’t have a thermometer, test the oil’s heat with a piece of chicken – when you drop it in, it should start aggressively bubbling). Adjust the heat so it maintains this 350F and doesn’t keep climbing; on my stovetop, this means holding at around medium heat. 3. Batter: The advantage of battering (or dipping the chicken in a sticky paste) instead of breadcrumbs is that the chicken picks up a light uniform coating with a lot less work than the flour-egg-breadcrumb practice. Battering also produces a coating perfect for meshing with other flavorings (it kind of sponges them up). 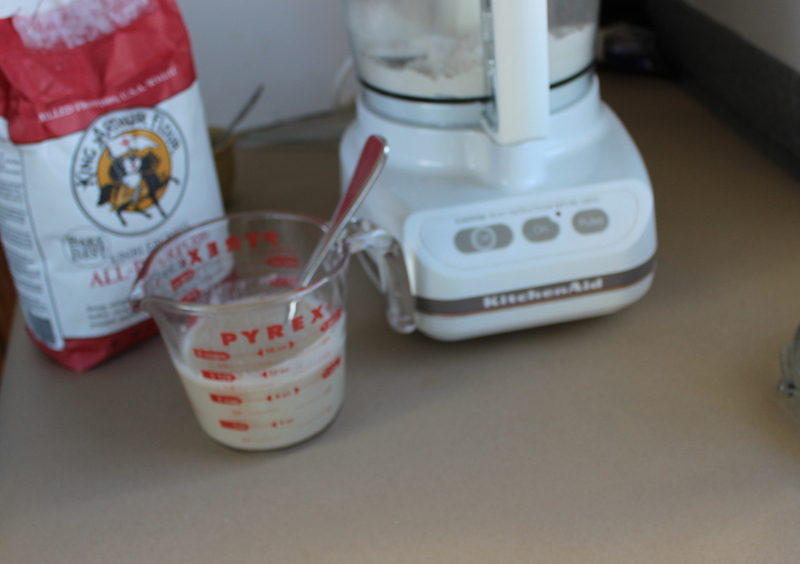 To make the batter, mix 1 cup corn starch with 1 egg and 1/4 cup water using a heavy whisk until the mixture becomes uniform but thick – almost as thick as pancake batter. 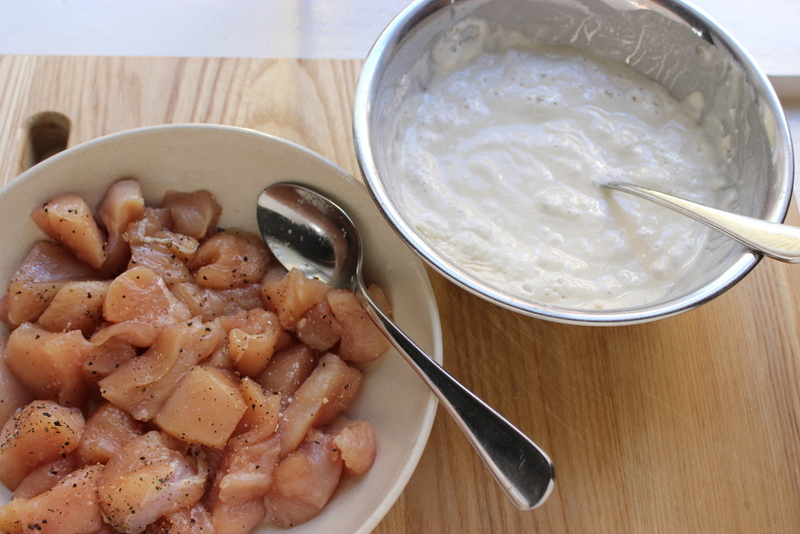 Add a splash of water as needed to loosen the mixture – and plan on whisking before dunking each batch of chicken. 4. Shallow-Fry: There is not much to this. The chicken pieces are small enough that by the time they brown lightly, they should be cooked through. You don’t want to crowd the pot (which would cause the oil temp to drop precipitously or the oil, itself, to boil over); work in batches, so there’s a single layer. Add 1/3 to 1/2 of the chicken to the oil one piece at a time using tongs; if you add them in clumps, they’ll form little rafts of chicken that are tough to break up. Cook, flipping the pieces, until they’re lightly browned, 2 to 3 minutes. Cut into a thicker piece to check. Drain on a plate lined with paper towel, then toss with the flavorings below. Repeat with the remaining chicken. 5. Toss with Flavorings: There is a moment, just after you’ve fried food where it’s steaming hot and open to take on other flavors. This is the time to season it with salt and a handful of intense pantry flavorings: the crisp chicken steams/heats the flavorings, soaking up their essence. Here are two of my favorite combinations. 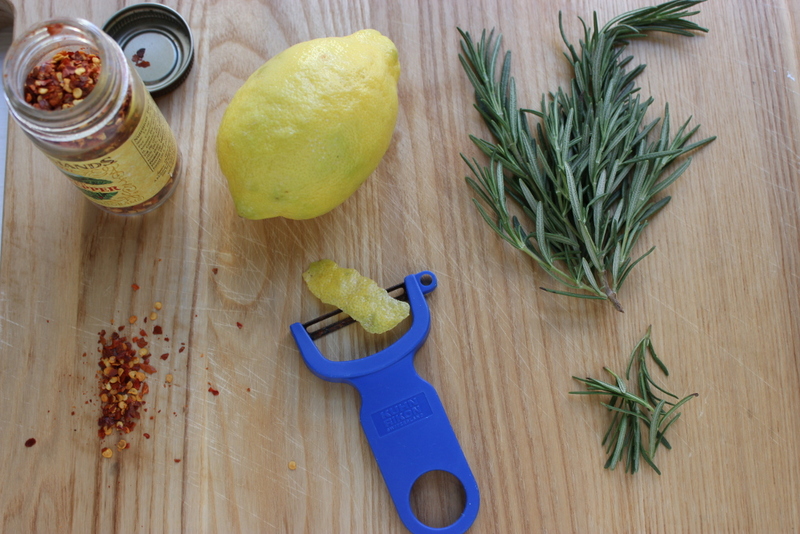 Lemon, Rosemary, and Hot Chiles: Add to a large bowl 1 garlic clove (thinly sliced), 1 sprig rosemary (peel off the leaves), 1 dried chile (like a chile de Arbol, coarsely chopped) and the zest of 1 lemon (shave it into 1-inch strips using a peeler). 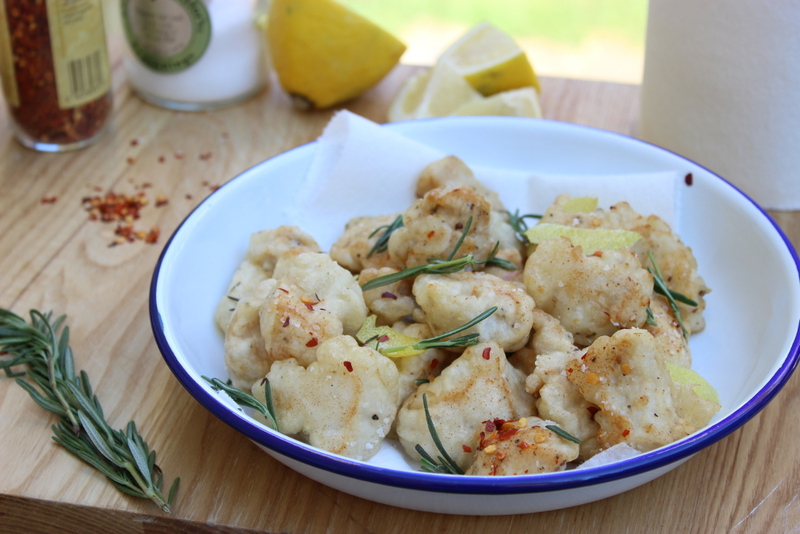 Toss well with the fried chicken and serve with lemon wedges for squeezing. Chinese Black Beans, Ginger, and Scallions: Add to a large bowl 1 Tbs fermented black beans (coarsely chopped; saute them with a little peanut oil for 1 minute to smooth out their flavor if you like), 1 Tbs. chopped fresh ginger, 1 jalapeno (thinly sliced) and 3 scallions (thinly sliced). Toss well with the fried chicken. Amanda asked: I’ve exhausted my repertoire of weeknight chicken recipes. Any suggestions? As a point of information, I swoon for stir-fries. 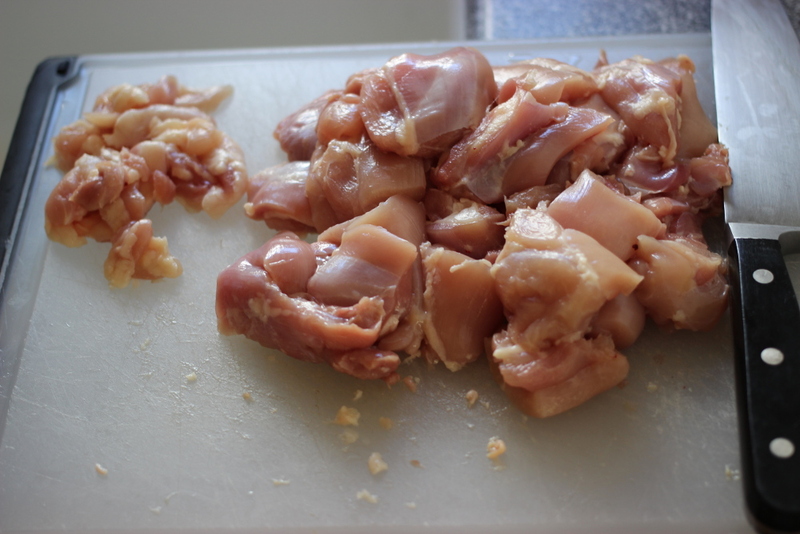 – The chicken: Cutting chicken thighs by hand is a slippery, squirmy endeavor. Also, I generally avoid chicken thighs in stir-fries because the fatty patches don’t cook through in time. 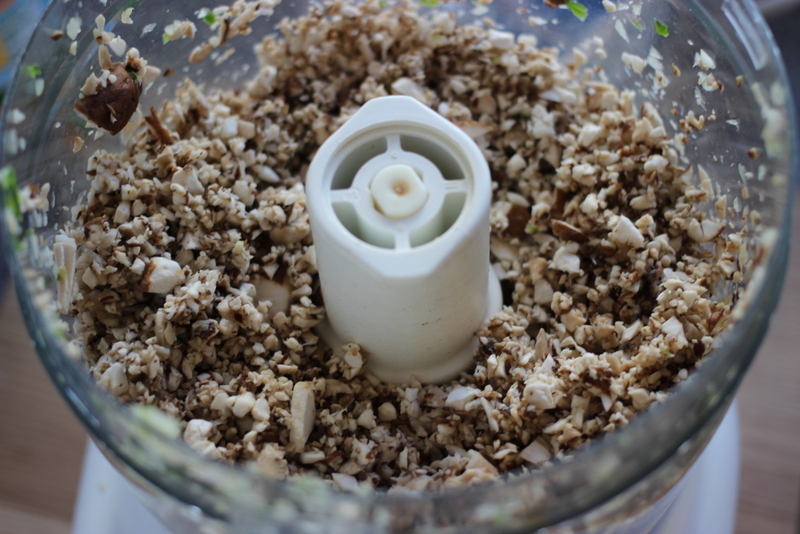 But a food processor changes both scenarios. It makes easy work of the thighs, pulsing the meat into a coarse dice that cooks quickly in stir-fries; the fatty patches melt away. To “grind” the chicken in a food processor, cut boneless thighs into 1-inch pieces and freeze for 15 minutes, so the chicken firms up (so it “grinds” easier). Using the pulse button and working in batches, pulse the chicken 8 times or so, or until it’s coarsely chopped. 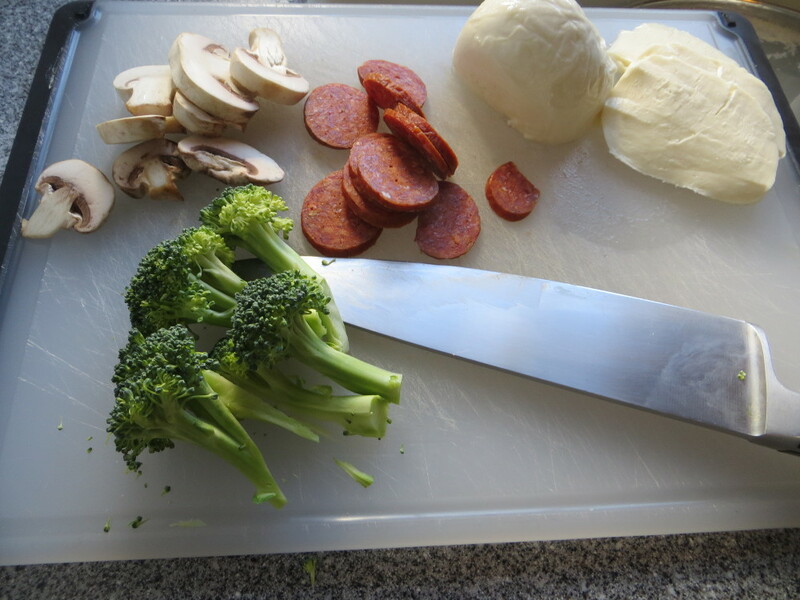 – The method: The rest of this stir-fry is relatively straight-forward. The sauce is a light mix of shaoxing wine (use dry sherry as a substitute), black bean sauce, and sesame oil. 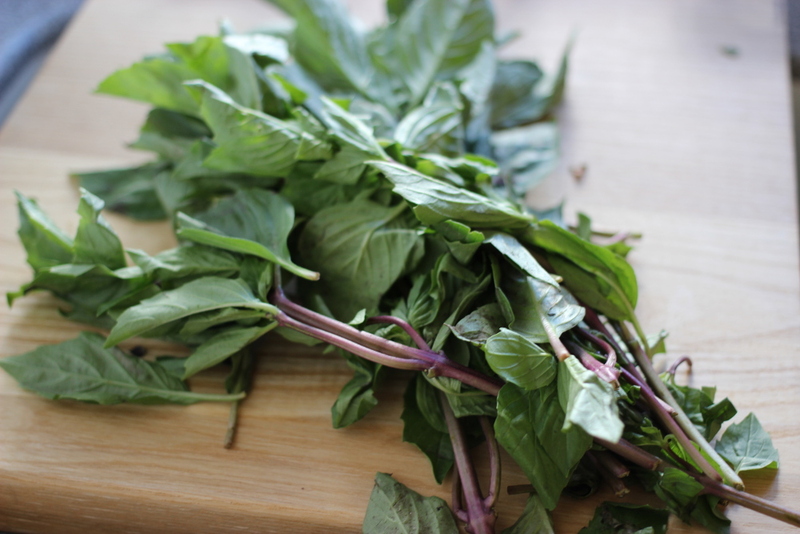 A sprinkling of Thai basil gives the stir-fry an exotic edge (regular basil is fine). And shiitakes and shallots offer depth. 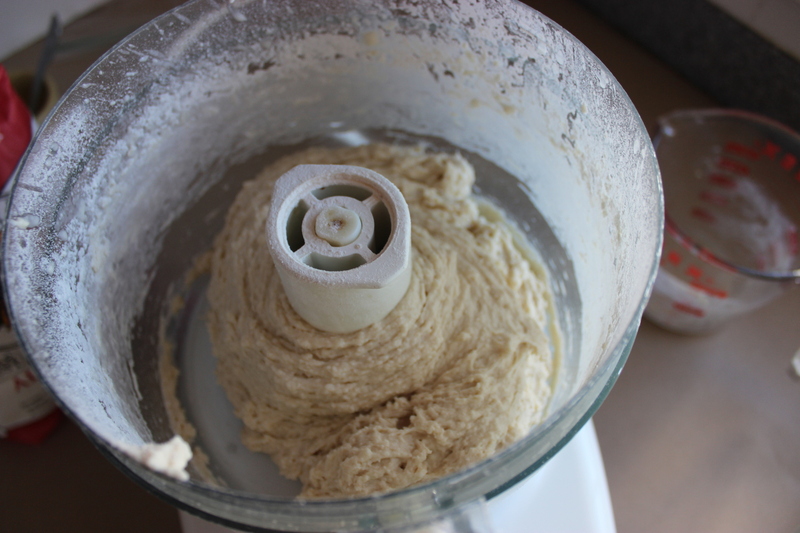 While you have it out, use the food processor to prep the latter (after washing the work bowl well). Following a similar technique (minus the freezing), finely pullse the shallots and shiitakes and a jalapeno by pulsing in the food processor. 1. “Grind” the chicken. Trim 1 1/2 lb. boneless skinless chicken thighs of any excess fat. 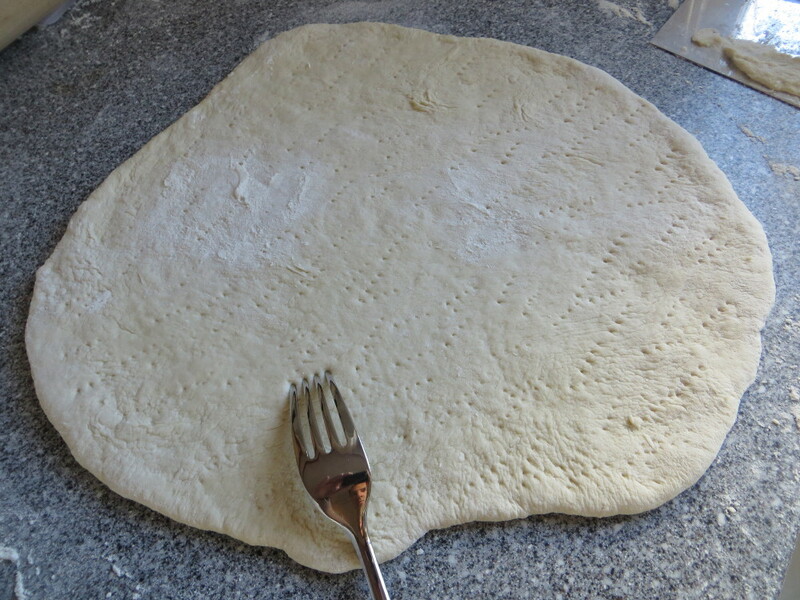 Cut into 1-inch pieces, set on a large plate and transfer to the freezer to firm up (ie: semi-freeze) for 10 min. 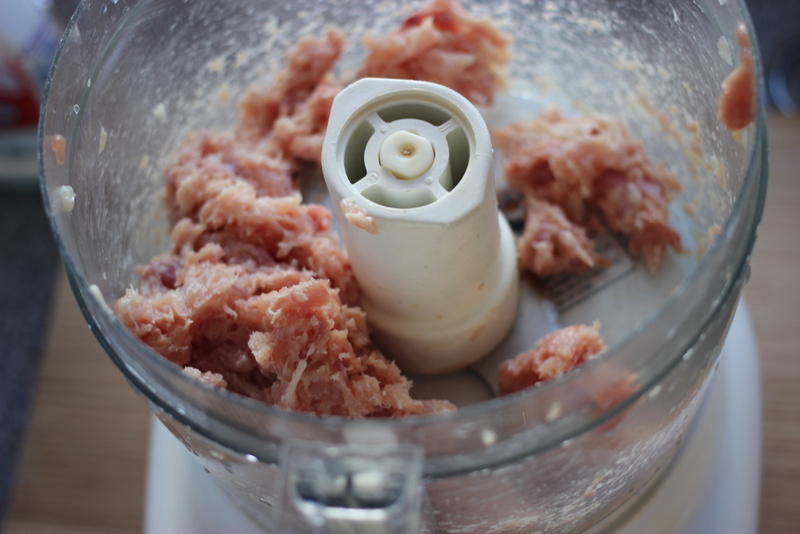 Add half of the chicken to a food processor and pulse until the chicken is finely diced, about 8 pulses. Transfer to a large bowl and dice the remaining chicken. Toss the chopped chicken with 1 Tbs. soy sauce, 1 Tbs. shaoxing wine (or dry sherry), 1 Tbs. toasted sesame oil, and 1 tsp. kosher salt. 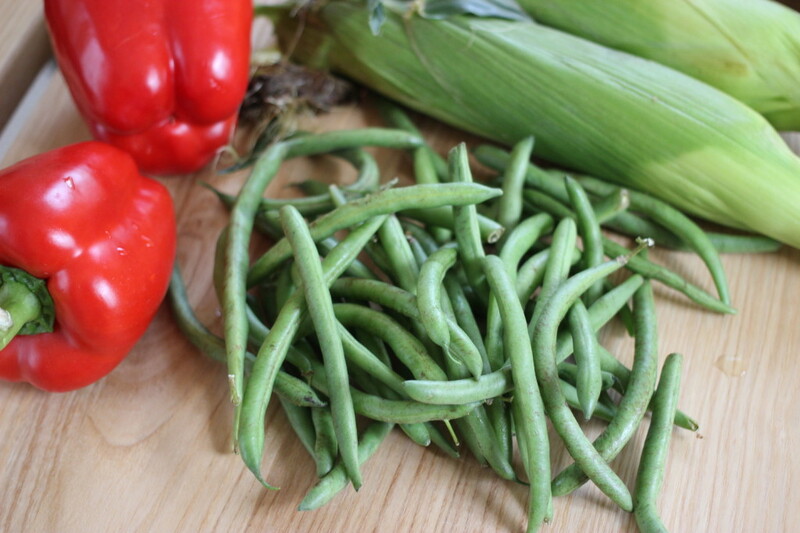 2.. Chop the vegetables: Stem 7 oz. 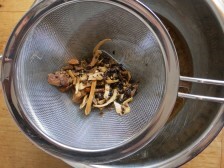 shiitakes and add to a food processor. Pulse until the mushrooms are finely chopped, about 8 pulses. 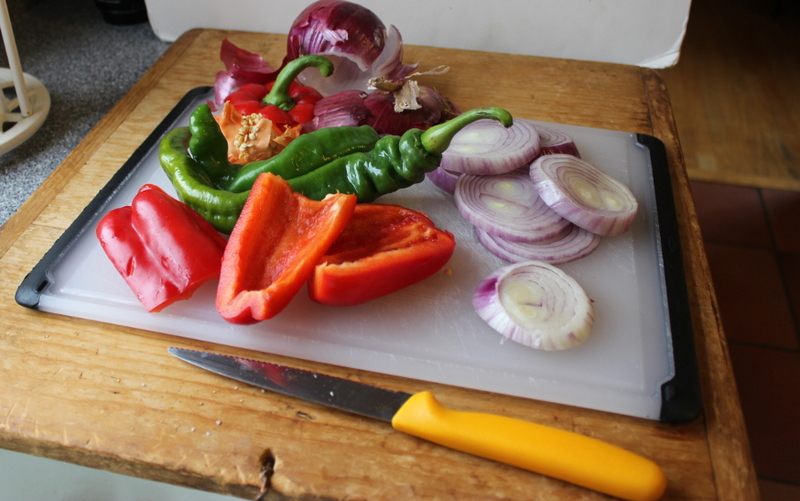 Add 2 shallots (peeled and quartered) and 1 jalapeno (cored and quartered) to food processor and pulse until chopped. 3. Stir-fry the chicken: Set a large heavy-based skillet over medium-high heat for 1 1/2 min. Add 1 1/2 Tbs. peanut oil (or canola oil) and, once it’s shimmering hot, add the chicken in a flat, uniform layer. Cook, undisturbed, until the chicken starts to brown and easily releases when you flip pieces with a spatula, about 2 min. Cook, now chopping and breaking up the chicken with the spatula, until it loses all of its raw color and is mostly cooked through, 2 to 3 more min. Transfer the chicken to a large plate. 4. Stir-fry the vegetables: Add another 1 Tbs. 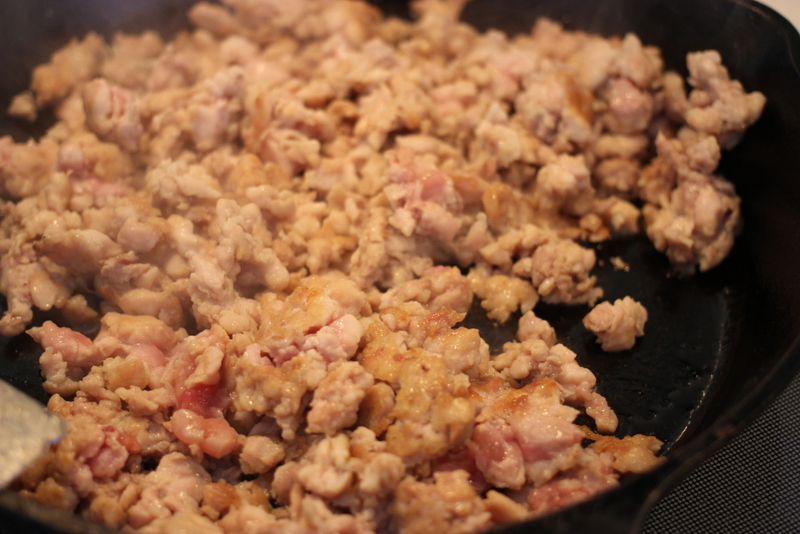 peanut oil to the pan (still set over medium-high heat) and the diced shallot-jalapeno mixture. Sprinkle with 1/4 tsp. kosher salt and cook, stirring, until the shallot softens and browns lightly, 1 to 2 min. Add the chopped shiitakes, sprinkle with another 1/4 tsp. 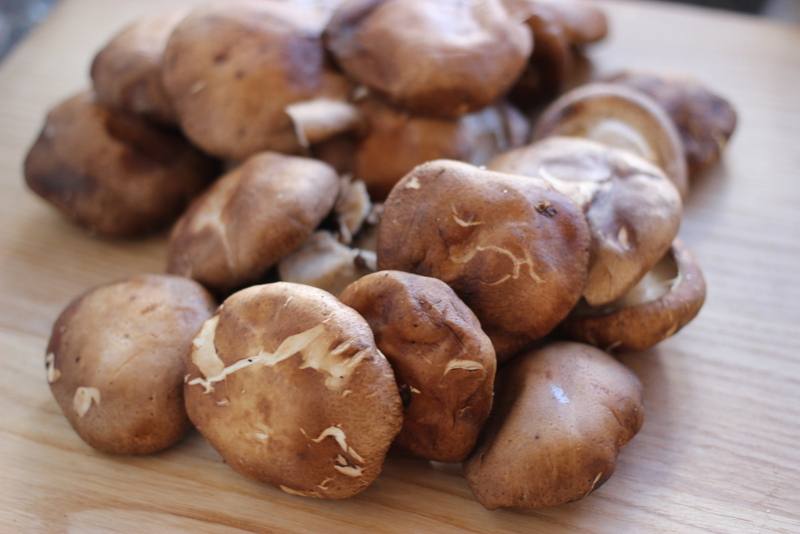 kosher salt, and cook, stirring occasionally, until the mushrooms soften completely, about 2 min. 5. Toss and sauce: In a small bowl, whisk together 2 Tbs. soy sauce, 1 Tbs. shaoxing wine (or dry sherry), 1 Tbs. sesame oil, 1 Tbs. black bean sauce, and 2 tsp. granulated sugar. 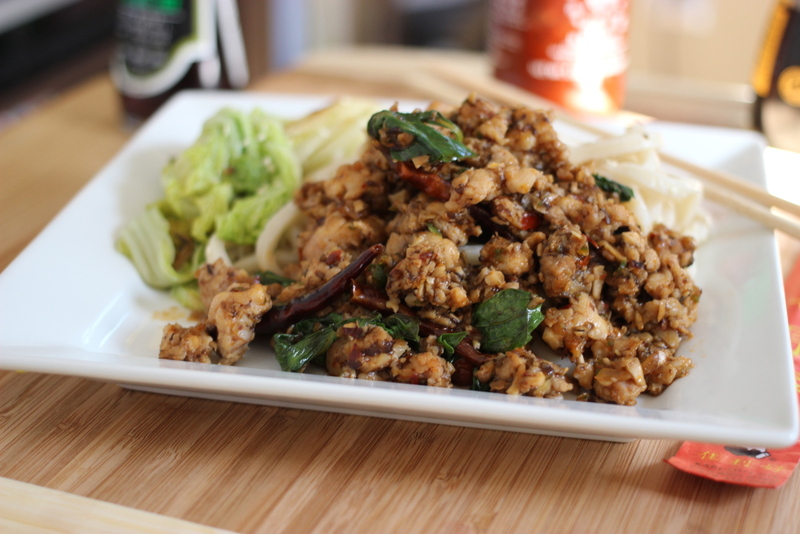 Return the chicken to the pan along with this soy mixture and 10 Thai basil leaves (or conventional basil leaves; coarsely chopped). Cook, tossing, until the sauce coats the chicken and the chicken cooks through completely, 2 to 3 min. Serve immediately. Bill writes: I’ve grilled steaks and I’ve pan-seared steaks, but I’ve never broiled them. Any tricks to the process? 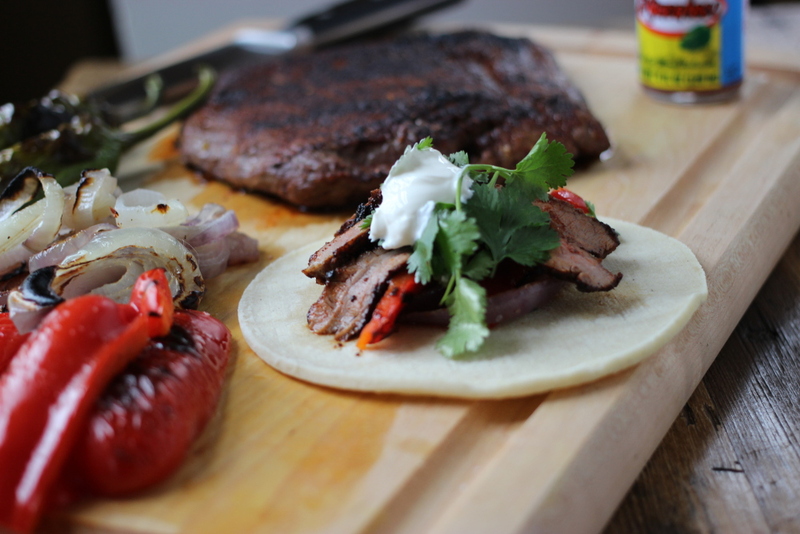 I already have flank steak and peppers and was kind of hoping to make them into tacos. Thoughts? 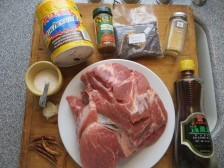 What you need: Ingredients: Steak (either flank or skirt works; about 1 1/2 lb for 4 people), spices (ancho chile powder, cumin, garlic powder, chipotle powder or pimenton de la Vera), granulated sugar, olive oil, bell peppers (2 or 3; whatever colors you got or like), onion (preferably a large Spanish or red onion); corn tortillas, salsa, cheese, etc… for serving. 1. Get prepped: Heat the broiler to high and position an oven rack about 4 inches away from the heating element. 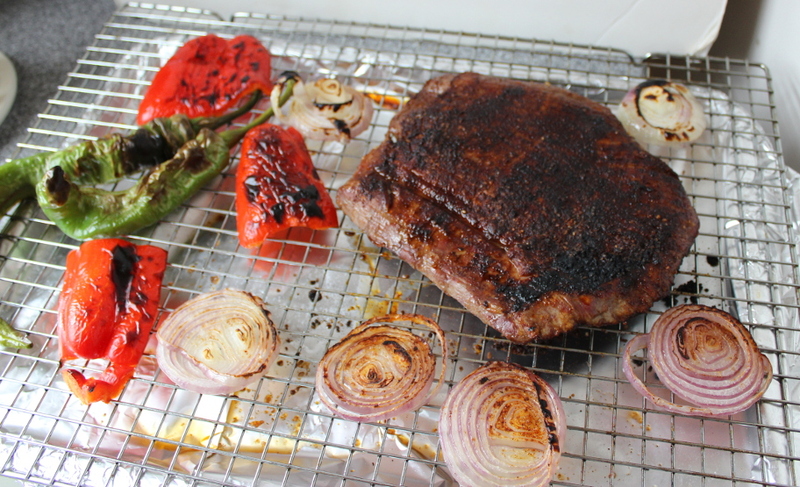 Make a spice rub and prep the vegetables: In a small bowl, mix 1 1/2 tsp. kosher salt with about 1 tsp. each granulated sugar, ancho chili powder (or regular), black pepper, and cumin, and 1/4 tsp. each garlic powder and chipotle powder. 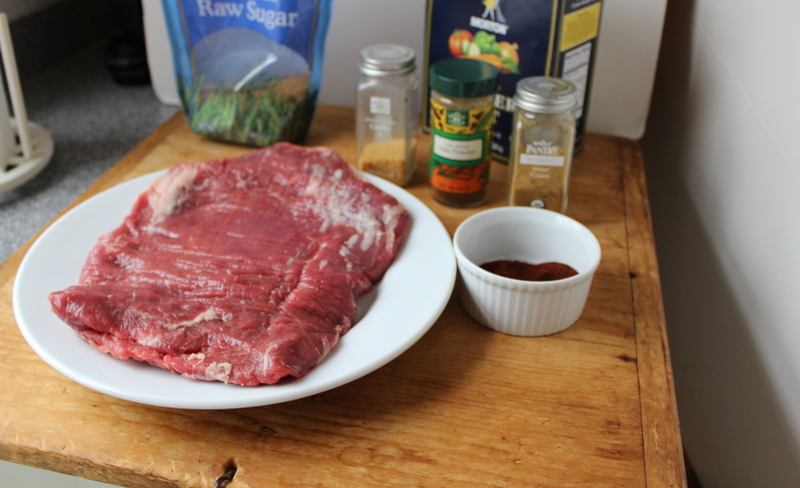 Pat the steak dry with paper towels and then rub the spice mix all over the steak along with a drizzle of olive oil, about 1 Tbs. Transfer to a broiler pan or a large rimmed baking sheet topped with a rack and let sit at room temperature while the broiler heats. Quarter, core, and seed the peppers and set on another baking sheet along with a Spanish or red onion, cored and cut in 1/2-inch wedges. 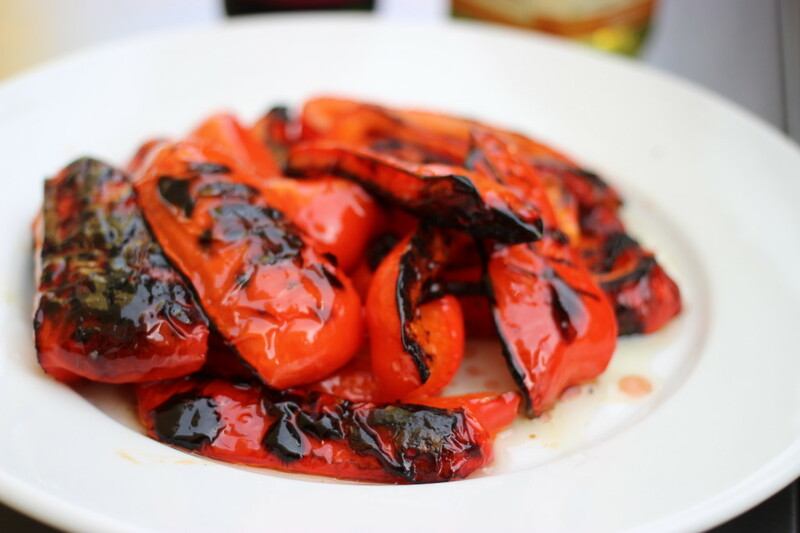 Toss the vegetables with a drizzle of olive oil and a sprinkling of salt and pepper, about 3/4 tsp. and 1/2 tsp. each. 2. Broil the steak and then vegetables: Set the broil pan with the steak under the broiler and cook without touching until the top of the steak browns, about 2 to 4 minutes. Flip and cook the other side of the steak until it, too, browns and the steak starts to firm up to your desired level of doneness (make a nick into a thicker piece to check its level of pinkness – pull out the rack a bit while you’re doing so, so you don’t singe your arm hairs ), 2 to 4 more minutes. If the steak is browned on both sides but still not cooked through, transfer it to a lower rack and continue broiling and flipping until done. 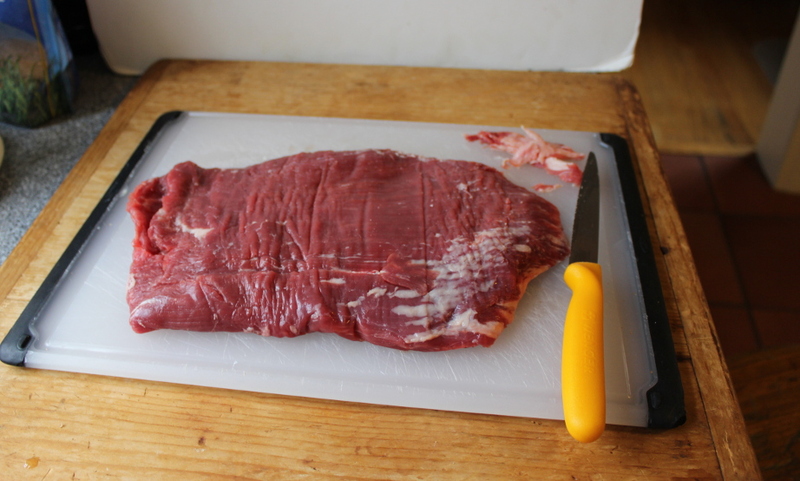 Once cooked, transfer the steak to a carving board to cool for 5 minutes before slicing. Meanwhile, broil the vegetables, flipping every couple of minutes until they brown on both sides and start to become tender (the tips of the onions may char a bit – this is fine), about 5 minutes. 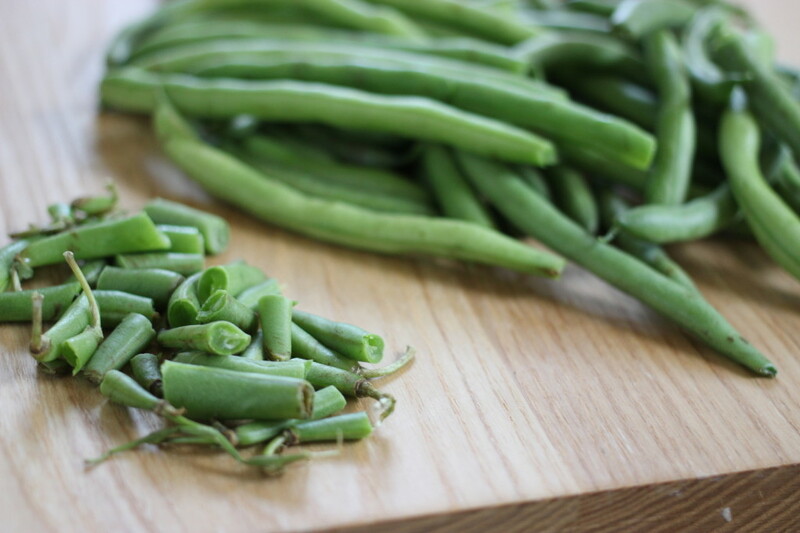 Transfer the vegetables to a cutting board. 3. Slice and serve: Thinly slice the steak (once it’s cooled – the cooling allows the juices a chance to recirculate) and coarsely chop the vegetables. Serve in warm corn tortillas with guacamole, salsa, and a squirt of fresh lime juice. Kim writes: I’m in love with that orange color dressing they put on salads in Japanese restaurants. I have no idea what goes into it, but I find myself wanting the dressing *EVERY* day, which is becoming a challenge logistically and economically. I’ve looked online for the recipe, but I don’t know if what I’m finding is the right thingf! How do I make this at home so I can start saving some money to send my kids to college?!?!? Tony writes: Kim, every child should have a chance at college, so if a homemade vinaigrette helps get your kids there, I am going to do my part. What I believe you are referring to is a light sesame-miso vinaigrette, one that’s kinda sweet, kinda salty, mild and toasted. 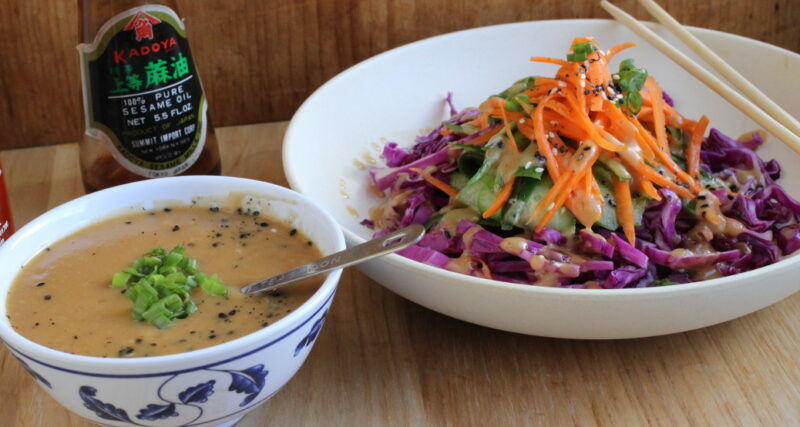 It’s pretty simple to make; a light emulsion of miso, ginger, sesame and rice vinegar. 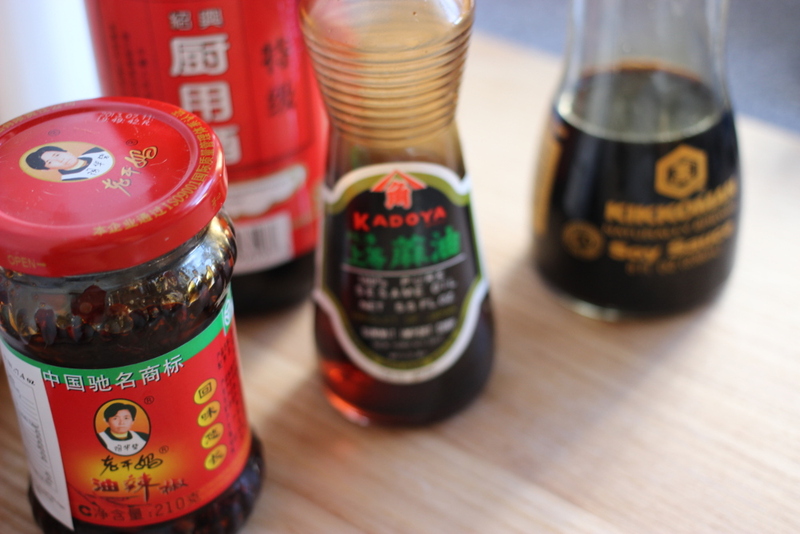 Personalizing the sauce, tweaking it so each of the flavorings is just right, will be your own little journey (and an important one; rice vinegars and miso pastes can vary a bit). But here is my take along with a quick recipe for a chopped salad of cabbage, carrots and cukes. Nice spring eating. Enjoy! My method: This is one of those times where you want to avoid olive oil; its sharpness would overpower. 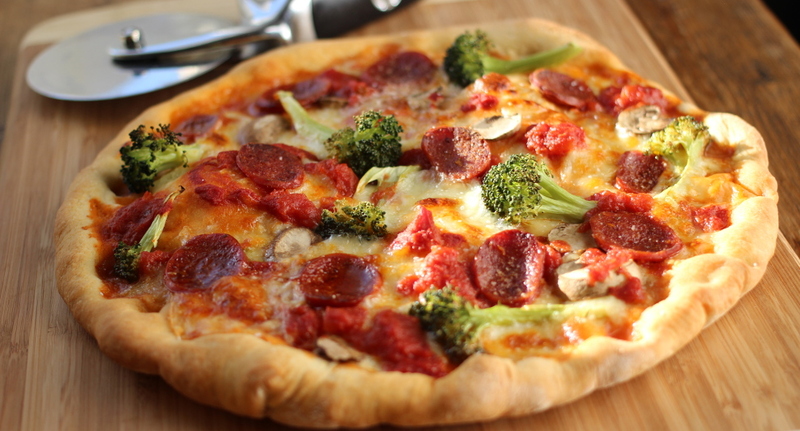 Instead, opt for mildly flavored grapeseed oil or canola or peanut oil. There are different options for miso paste (light or dark most notably). 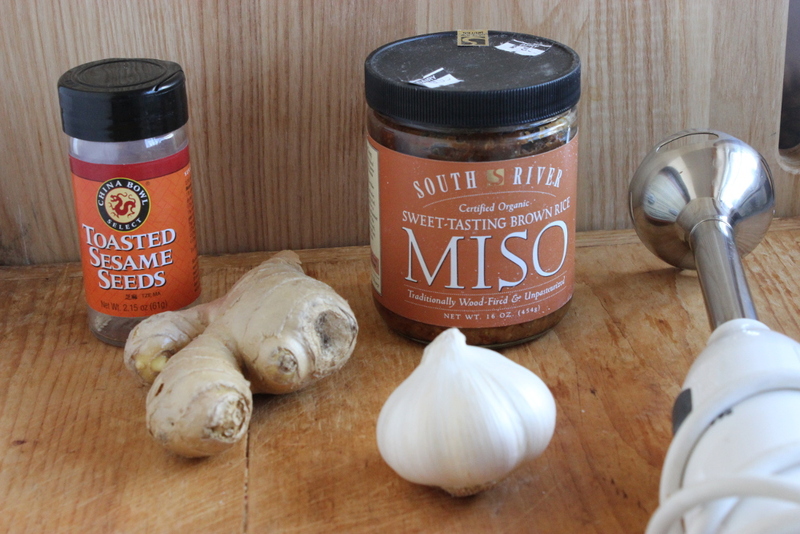 I am fond of South River Miso, though whatever you find should to do the trick (look for it in the produce area next to the tofu and fresh noodles). Yields 1 1/4 cups dressing. 1. 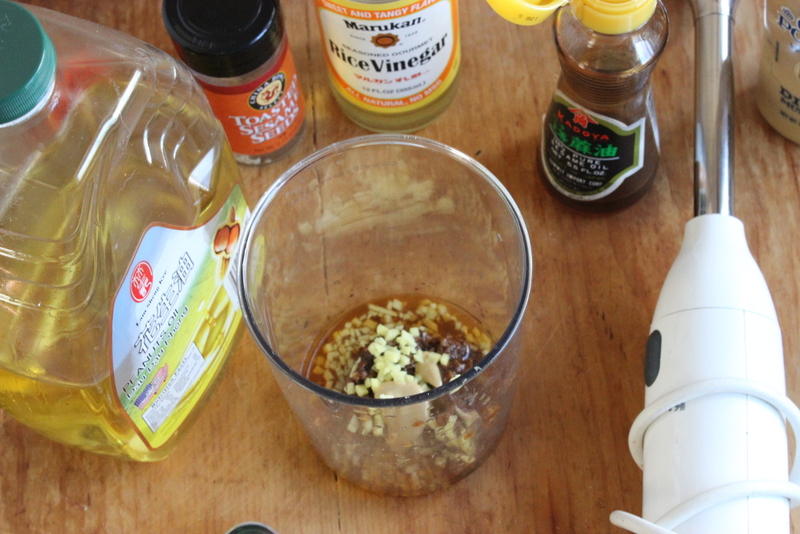 Make the vinaigrette: In a large blender using an immersi,on blender or in an upright blender, blend 2 Tbs. miso with 1 tsp. Dijon mustard, 2 Tbs. rice vinegar and 1 Tbs. lime juice (about 1/2 lime). While still blending add 1/2 cup peanut oil (or canola oil) in a thin steady stream so the mixture becomes thick and smooth. Thin with 2 to 3 Tbs. cold water. Blend in 1 Tbs. minced ginger and 1 tsp. toasted sesame oil and then stir in 2 Tbs. thinly sliced scallions and 1 tsp. toasted sesame seeds. Add 1/2 tsp. granulated sugar if the mixture is missing a little sweetness. 2. 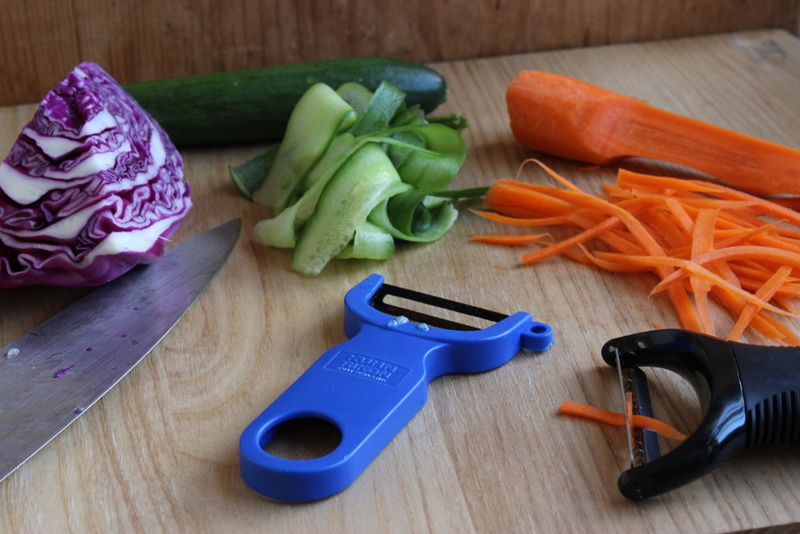 Make the salad: Thinly slice red cabbage, shave English cucumber into thick ribbons, and use a julienne peeler to slice long strips of carrot. 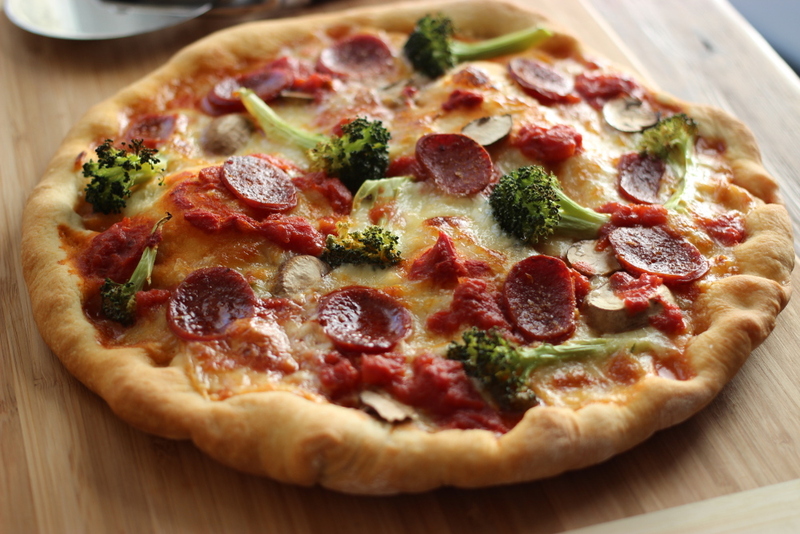 Toss with 3 or 4 Tbs. 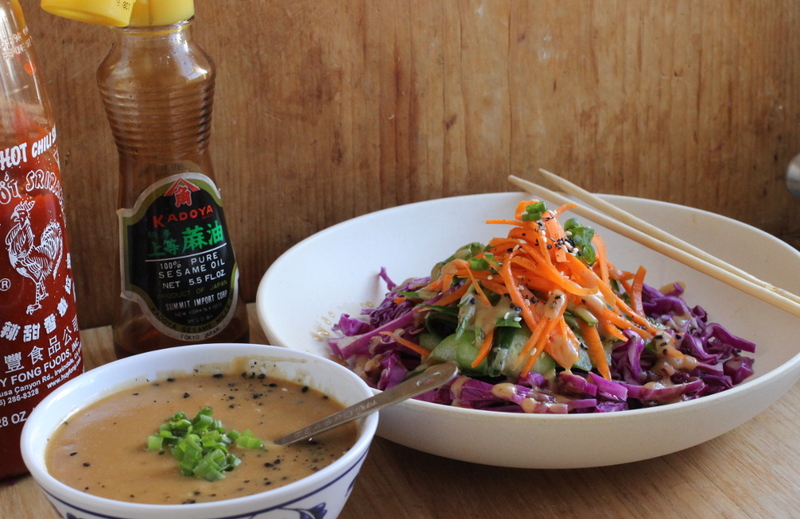 of the dressing, sprinkle with more sesame seeds and sliced scallion and serve with grilled fish and brown rice.